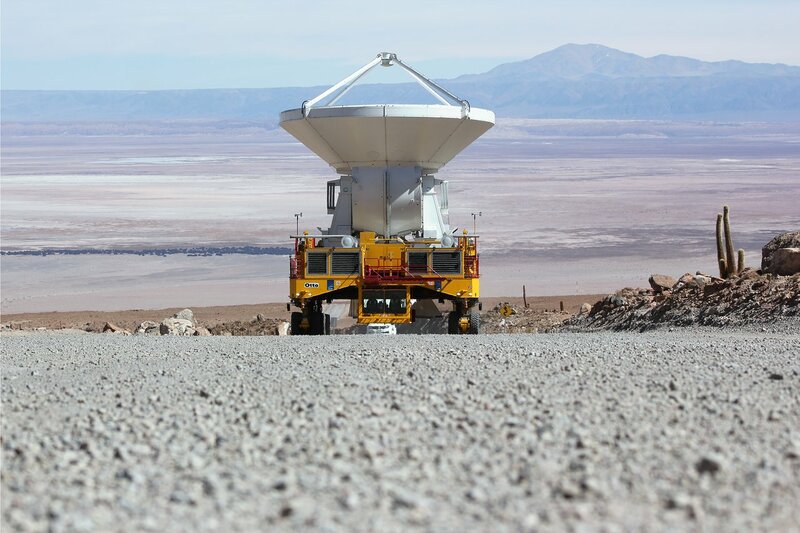 The first European antenna for the Atacama Large Millimeter/submillimeter Array (ALMA) has reached new heights, having been transported to the observatory’s Array Operations Site (AOS) on 27 July 2011. The 12-metre diameter antenna has arrived at the Chajnantor plateau, 5000 metres above sea level. Here, it joins antennas from the other international ALMA partners, bringing the total number at the AOS to 16. 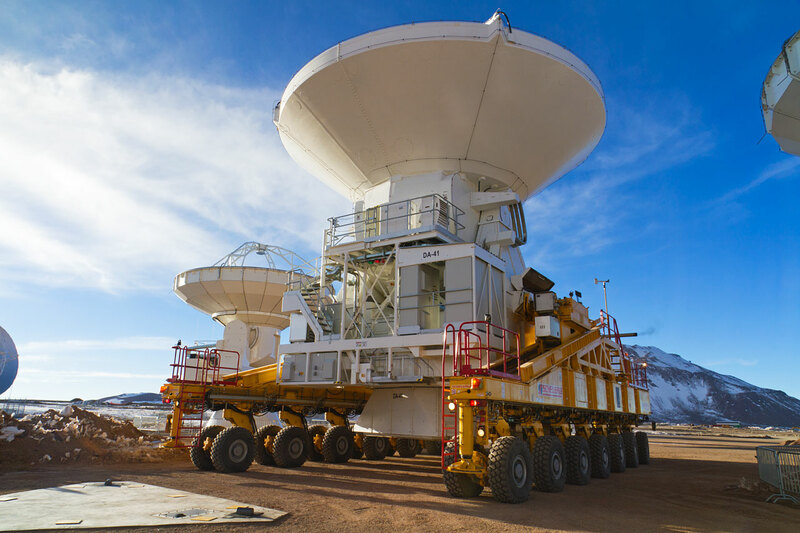 Although 16 sounds like just another number, it is the number of antennas specified for ALMA to begin its first science observations, and is therefore an important milestone for the project. Soon, astronomers will begin conducting new scientific research with ALMA. The antenna, manufactured by the European AEM Consortium  under contract from ESO, was handed over to the observatory in April at the Operations Support Facility (OSF), after six months of testing. The OSF is at an altitude of 2900 metres in the foothills of the Chilean Andes. There, it was equipped with highly sensitive detectors, cooled by liquid helium, and other necessary electronics. 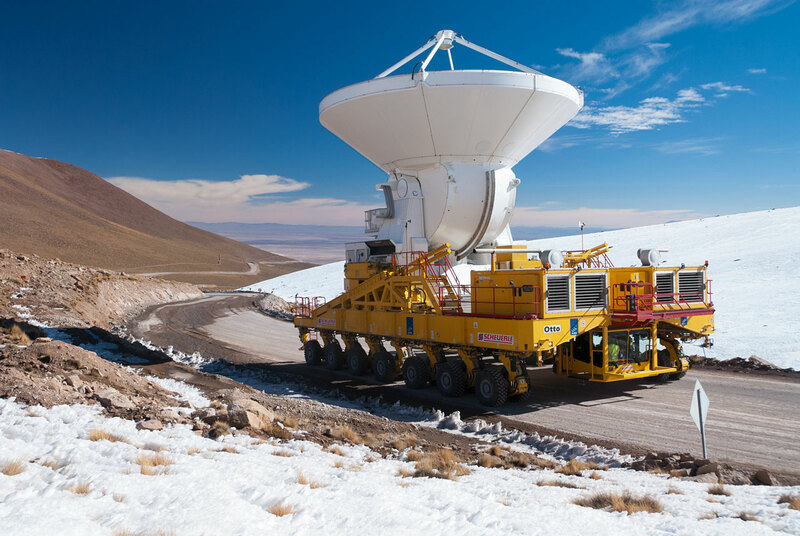 Now, one of the giant ALMA transporter vehicles has taken it 28km further, along the dry desert road to the AOS. The AOS is the last port of call in a long journey that began when the component parts of the antenna were manufactured in factories across Europe, under the rigorous oversight of ESO. ALMA’s Early Science observations are planned to begin later this year. Although ALMA will still be under construction, the 16-antenna array that will be available already outmatches all other telescopes of this kind. Astronomers from around the world have submitted almost 1000 proposals for Early Science observations. This level of demand is about nine times the number of observations that are expected be carried out during the first phase of Early Science, which demonstrates how excited researchers are to use ALMA, even at this early stage. The final step from the OSF to the Chajnantor plateau is a relatively short journey, but for ALMA it makes a great difference. The plateau’s elevated location — 2100 metres higher than the OSF — gives it the extremely dry conditions that are vital for observing at millimetre and submillimetre wavelengths, since these faint signals from space are easily absorbed by the Earth’s atmosphere. While Chajnantor is perfect for ALMA, the extremely high altitude and lack of oxygen make it less pleasant for the site’s human visitors. 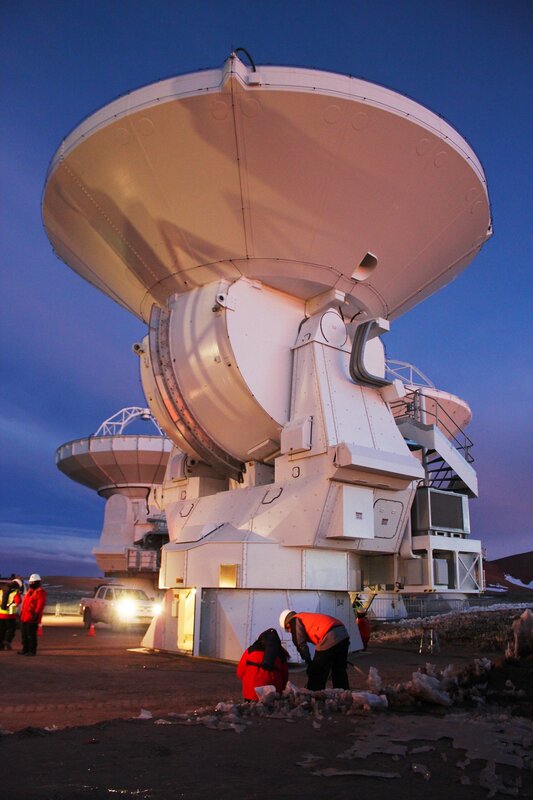 Although there is a Technical Building on Chajnantor — it is in fact one of the highest buildings in the world — the people working on ALMA do as much as possible from the lower altitude of the OSF, operating the telescope remotely. 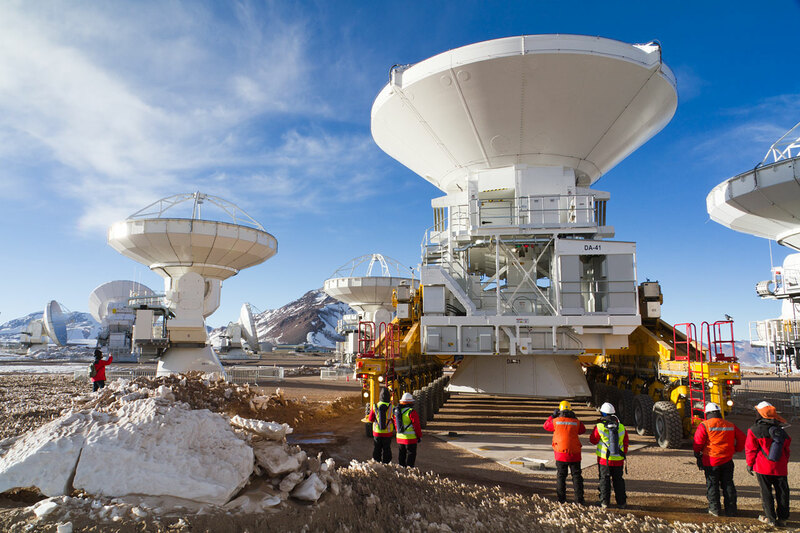 When construction is completed in 2013, ALMA will have a total of 66 state-of-the-art antennas, which will work together as a single powerful telescope observing millimetre- and submillimetre-wavelength light. ALMA will help astronomers study the origins of planets, stars, galaxies and even the Universe itself, by observing cool molecular gas and dust in the Milky Way and beyond, as well as the relic radiation left over from the Big Bang. Twenty-five European ALMA antennas, including this one, are being provided by ESO through a contract with the European AEM Consortium. ALMA will also have 25 antennas provided by North America, and 16 by East Asia. The AEM Consortium is composed of Thales Alenia Space, European Industrial Engineering, and MT-Mechatronics. Find out more about the array at the ESO ALMA page. Read about the first European ALMA antenna reaching the OSF. Watch the AOS live on the ALMA Observatory website.